WB Primary TET Exam Date 2017 Admit Card Publishing Date for the written test to be conducted by WBBPE is going to be discussed in this post. Candidates must download their individual hall ticket from the official website of West Bengal Board of Primary Education before appearing in the exam hall. The expected date of publishing of the WBBPE Admit Card for the teacher eligibility test written test (Paper 1) will be released soon by the official authority. We will update the expected date of publishing of the admit card or hall ticket once there is official notice from WBBPE regarding Written Exam Date. Latest Update: ডিপার্টমেন্ট জানিয়েছেন তারা নভেম্বরের 23 তারিখে পরীক্ষা নেবেন.এই সম্ভাবনার কথা তারা জানিয়েছেন. Also Read Information on WB DElEd Admission 2018-2020. Earlier West Bengal Teacher Eligibility Test (WB TET) notice was published on www.wbbpe.org which will recruit the Assistant Teacher in Govt Primary Schools. Candidates will be able to download their card approximately 2 week before the commencement of the written test. Application form submission window will start from 10-10-2017 online and will be available up to 29th October 2017. Latest Update: Editing of submitted application form were available from 16th January to 31st January 2018. Online Edit Options for the TET-2017 / 2018 Applicants were open between those dates. So, it is expected that WBBPE will soon release admit card for the TET 2017 2018 to the candidates who had submitted correct application form. Once we get latest information about exam dates of Teacher Eligibility Test (Primary TET) published by West Bengal Board of Primary Education (WBBPE), we will update the information here. Click here to Know WB TET 2017 2018 Syllabus. Assistant Teacher Eligibility test will be conducted in various places in West Bengal 2017. The candidates who are willing to be teacher in Govt. Primary School for Class 1 to Class 5 will have to appear in the TET Exam. Later the West Bengal Primary Board of Education (WBBPE) will release notice regarding teacher recruitment. Then the TET qualified candidates will have to apply against that advertisement. The hall ticket will consist of Candidates Name, Exam Date, Reporting Time, Schedule of written test. 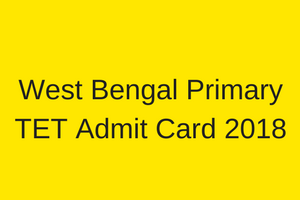 Full address of the exam center or exam venue of the written test will be printed on the WB Primary TET admit card. Written test will be conducted in various places in West Bengal. Those who have submitted the form successfully must provide input regarding their particulars to download the recruitment exam hall ticket. We have given here the link of official website. 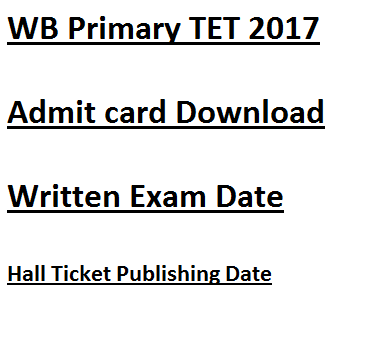 Link for downloading the WB Primary TET Admit Card Download 2017 will be updated once published officially. 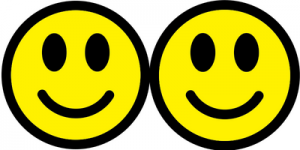 If you have forgot your application number, roll number or registration no, you need to contact WBBPE for assistant or help. Still there is no announcement regarding the Exam Date of Primary TET 2017 2018. We will update the same here once latest news or information regarding the exam date is published or available officially. Visit our MCQ Questions Answers section for free practice set and solved question paper in PDF format. Wbtet of 2017 kab hoga,plzzz reply. if i forgot my password,how to download my admit card? Sotti ki november a exam hobe? Please inform me when the date of WB PRT will release. Sir kobe pr tet hobe??? primary tet er kono news nei ekhono obdi. news publish hole apni ei page er madhhome jante parben. Kobe wb primary tet hobe ? please email me. for email updates, please subscribe to our feed. Tentative date of WB primary TET -2017 ? Sir PL send how many quata of ex army in purba medinipur.